The device is photoelectronic detector uses a state of-the-art optical sensing chamber. 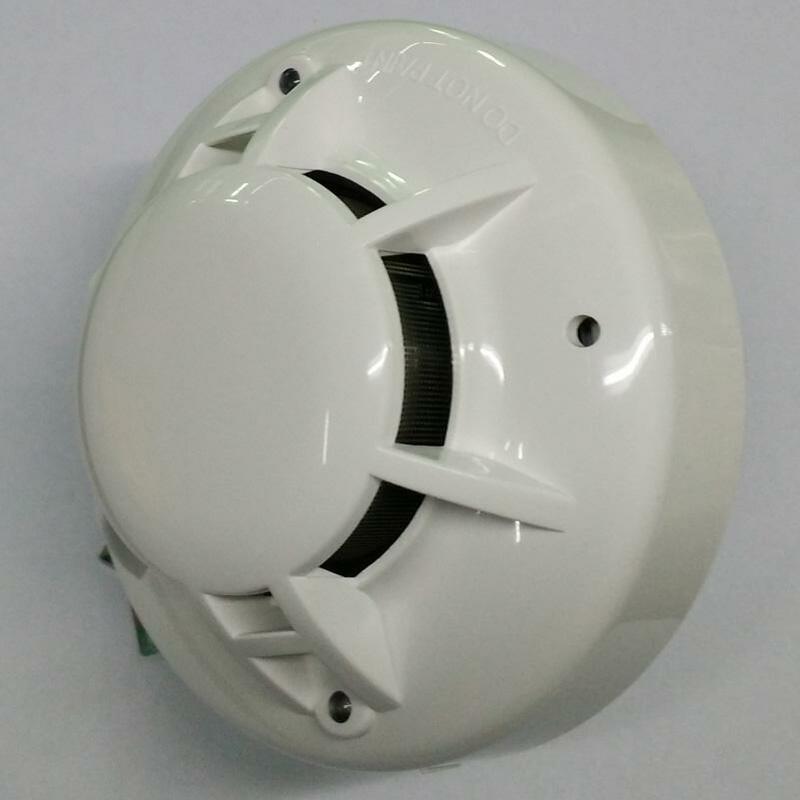 This detector is designed to provide open area protection and to be used with most conventional fire alarm control panel. Two LEDs on each detector provide local 360° visible alarm indication. They flash every 3~5 seconds indicating that power is applied and the detector is working properly. The LEDs latch on in alarm. 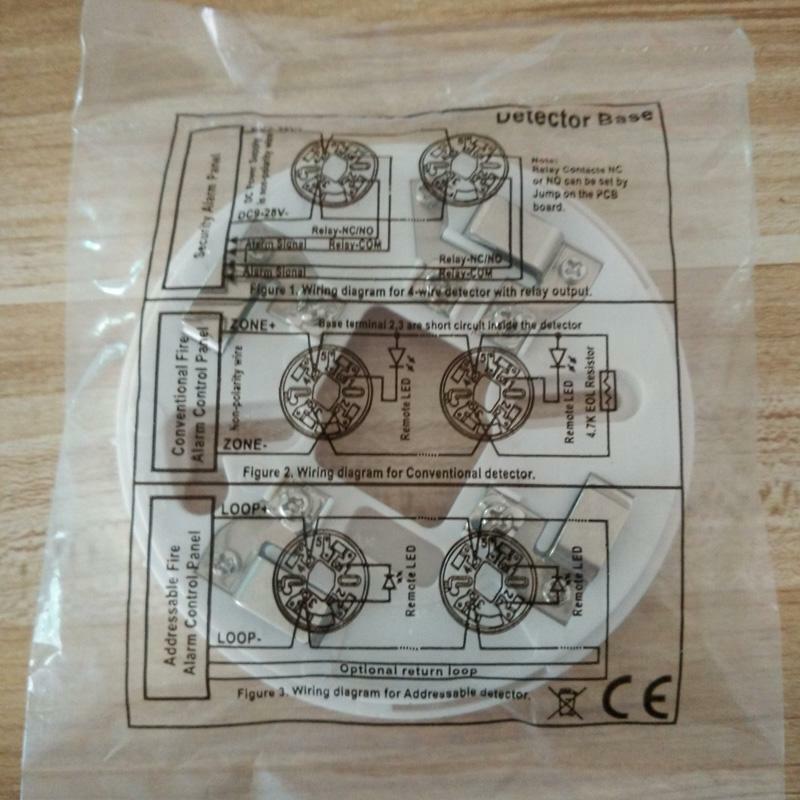 LEDs will be off when a trouble condition exists indicating that the detector sensitivity is outside the listed limit. The alarm can be reset only by a momentary power interruption. •Advanced MCU Expert Algorithm Software. NOTE: All wiring must conform to applicable local codes, ordinances, and regulations. NOTE: Verify that all detector bases are installed, that the initiating-device circuits have been tested, and that the wiring is correct.